Egypt and China have signed an agreement worth 179 billion pounds for mega projects in the newly constructed Egyptian administrative capital in cooperation with the private sector, Al-Ahram daily newspaper reported. 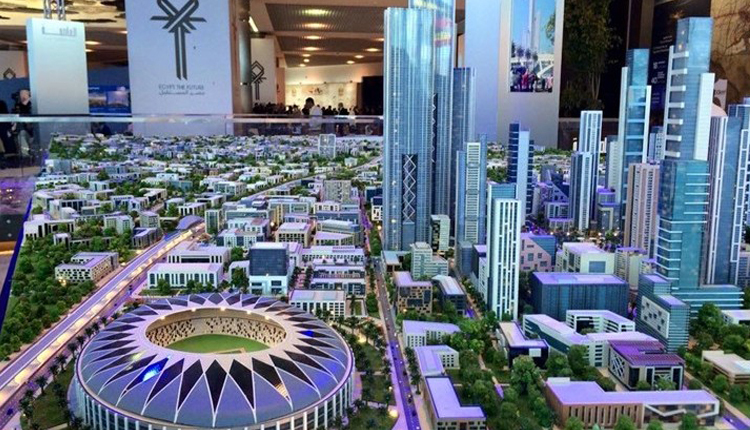 Egyptian Prime Minister and Housing Minister Moustafa Madbouly said these flagships are located at the central business district in the new capital.The central business district project is one of the projects expected to be completed by this date. Madbouly’s made these remarks during his meeting with members of the Chinese ruling party and secretary of the State Assets Control and Management Committee, which manages 96 national companies, as well as the Chinese ambassador to Cairo. Madbouly pointed out that President Abdel Fattah al-Sisi announced days ago that the year 2020 will witness the opening of the new administrative capital and a number of other projects and cities. “I have discussed with the company officials the implementation of a second phase of the project to be signed in the presence of President Sisi during his visit to China in September, and asked the company to work to complete the project in the shortest possible time to meet the aspirations and hopes of the Egyptian people,” said Madbouly. Madbouly added that the central business district of the new administrative capital includes 20 towers for residential, administrative, commercial and other services. One of the towers is expected to be the tallest in Africa at 385 metres. The Chinese delegation promised to implement the project according to the latest technologies and to employ all the resources of the company to ensure speedy implementation. On the other hand, the Board of Directors of the new Urban Communities Authority, at a meeting headed by Madbouly, approved the issuance of orders for support and contracting for six projects in the second phase of partnership projects with the private sector.